A new Batman animated feature called Batman vs Robin, it will be based on the Night of the Owls storyline. They recently cast Kevin Conroy to voice Thomas Wayne. Now this is perfectly fine since Conroy did the voice of Thomas Wayne in the Animated Series. Someone else will be the voice of Batman; Jason O’Mara. O’Mara was the voice of Batman for last years Son of Batman as well as Justice League: Thrones of Atlantis. I don’t know about the rest of you but as someone who grew up on the Animated Series from the 90’s, I don’t understand. If its Batman related and Conroy is in it, why is he not the voice of Batman. Conroy has played the voice of Batman for more than 20 years spanning at least 9 different television series, 12 animated movies and 7 video games. Let’s face it the man is Batman. He is still voicing Batman, he will still be doing the voice of Batman in the upcoming Batman: Arkham Knight video game. He is currently rumored to be doing the voice of Batman in the Lego Batman Movie. He has not stopped doing the role, he is the most iconic Batman voice out there. People know him as Batman, so to have him in that movie and not doing that voice is going to make people ask questions. I personally am not happy about that choice at all, while I am happy that they will have Conroy doing the voice of Thomas Wayne. It is not time for Conroy to hang up his cowl yet, he still has many more years doing this voice left in him. I think it is pretty obvious who the best Batman voice is, O’Mara is just too gravely, too Christian Bale. Which is not shocking since they are both European, one Welsh and the other Irish. The voice just does not work, Conroy has a much better voice. 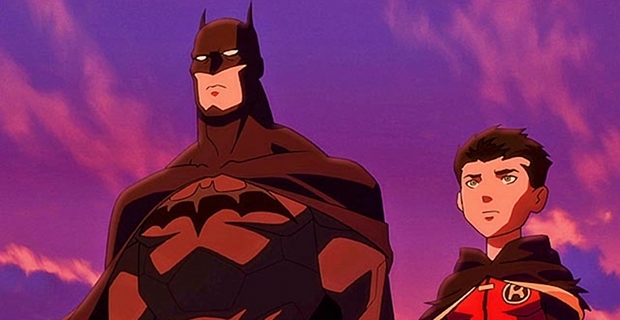 What is your opinion about Kevin Conroy not being the voice of Batman in the upcoming Batman vs Robin?